Pectoral Implants and enhancement is a surgical procedure to improve the size and shape of a man’s chest and to enhance the pectoral muscle definition. You will meet Dr Barnouti to discuss your medical history and to determine if you are a suitable candidate for a surgical procedure. 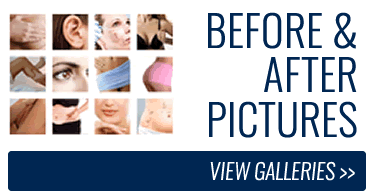 The choices of improvement will be explained to you and these include using your own fatty tissue to enhance your pectoral area or using a silicone implant. If you decide to choose an implant, various sizes and shapes will be shown to you to consider and establish the type and size of implant. If you are suitable for enhancement by using your own tissue, then all aspect of the procedure will be discussed thoroughly. The desire for males to obtain improvement in their body image is an increasing request at Sydney Plastic Surgery. Males now are more likely to request cosmetic plastic surgery than ever before. A minor change or enhancement can refine or define areas that create individual contentment and reward. 1. Using your own fatty tissue: This is normally performed through a key hole surgery and it is less invasive than a silicone implant procedure, the procedure will take 1-1.5 hours and will leave a very small, 5mm, scar in the side of the chest area. 2. Implant Procedure: A four cm incision is made in the armpit or, more rarely, in the crease where the pectoral meets the chest. This will depend on your anatomy and the type of implant you have selected. Working through the incision, Dr Barnouti will lift the pectoral tissue and skin to create a pocket, normally right behind the pectoral muscle. The implants are then centred in the ideal position. These implants when placed under the muscle are not readily visible or detectable by casual palpation. The procedure takes 1.5- 2 hours. A compression bandage should be worn on the treated area for a week. This is essential for effective healing after pectoral implants. For the first week after surgery, you will be required to keep sporting activities to a minimum. Stitches are removed after a week and bruising can take up to 3 weeks to subside. You will have to rest for the first 24-48 hours after surgery. It is normal to experience a burning sensation during this time. It may be possible to return to work after as little as 3 days however only if it does not involve you to lift heavy objects. Normal physical activity can be resumed after 4 weeks.